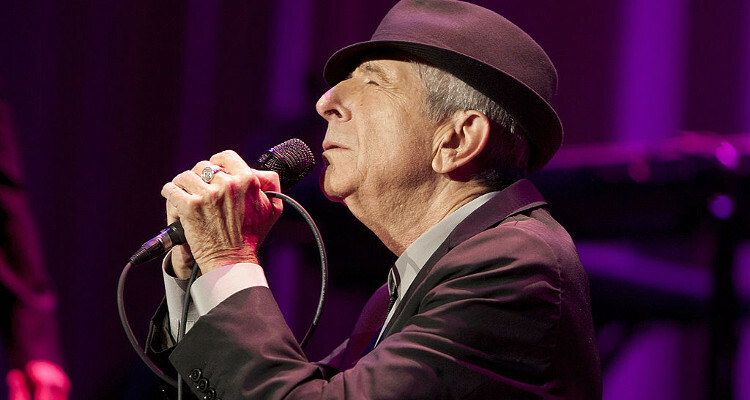 Here are 10 great songs of the legendary singer-songwriter Leonard Cohen, who passed away recently at the age of 82. One of his best-known songs, “Hallelujah,” has been christened as one of the most lyrically beautiful tracks ever written. The first single from Cohen’s debut album, Songs of Leonard Cohen, “Suzanne” is a melancholic meditation on love. This delication ode addresses random encounters, and is based on Cohen’s real-life experience with two stranded female hitchhikers he invited into his hotel room. Based on his lifelong muse, a beautiful Norwegian woman named Marianne Ihlen, this song is just one of several passionate love songs dedicated to the love of Cohen’s life. Written during a period of depression, this beloved number addresses loneliness, with the metaphor of a bird sitting alone on a telephone wire. This legendary song is a fitting tribute and a farewell monologue to the young French martyr. The song of Cohen’s stolen old raincoat has captivated listeners, since it was released as a single on his album Songs of Love and Hate (1971). The dark humor of this iconic song chronicles the corruption of the human soul. “Everybody Knows” has been covered by Guns N’ Roses. Covered by several renowned singers over the years, this touching song about romance and distances resonated with lovers everywhere. An underrated ballad, this song has been covered dozens of times by well-known singers.